Last week I had the privilege of attending the first Intersections WR, a local symposium started by a few friends of mine. The conversation centered around a talk by Karen Schulman Dupuis about how content curation is affecting the way we perceive things, and can keep us from seeing both sides of an issue. Whether that’s self-selected, such as with Twitter, or artificially selected, such as Facebook and search algorithms. One of the statements that kept coming up though, was the idea of appreciating the grey, the things that aren’t black or white. You’ve got your views and the other person has theirs, and nobody should be expected to change was what I took away from the Q&A, and it hit something that I’ve wanted to talk about for a while, namely the idea of grey areas. Now, when I use the term “Grey area”, what I mean is a point in an issue where it seems impossible to reach a definite conclusion for some reason. Karen distinguishes grey areas from black and white thinking, which I think is uncontroversial, but still worries me a bit. I mean, despite what we talk about in the Saturday logic lessons, claims can’t always be boiled down into strictly true and false. They can have varying probabilities or bear varying degrees of certainty, or we might just not know. There are logics that deal with these kinds of things, and each of them involves trying to reach definite conclusions, which seems like evidence of black and white thinking. In a lot of ways, this is the goal of philosophy and a lot of other sciences, and rests on the making and keeping of fine distinctions. The issue I have with grey areas is two-pronged. First, it seems like they can arise wherever there’s more than one view on an issue. At that point, if our idea of embracing the grey is saying “You’ve got your views and I’ve got mine”, we have to declare it a grey area and move on. If we want to contest a view, then we have to discard our commitment to respecting other people’s views, or explain why these views should be contested instead of enjoying respectful coexistence. Now, Karen didn’t dig too deeply into this, but I didn’t expect her to, because it’s a philosophical and practical problem that’s been plaguing people for thousands of years, and it would be unreasonable to expect her to solve it. She did brush up against it though, pointing out some areas where she’ll contest views. Her idea of embracing the grey certainly doesn’t involve endorsing or tolerating racist, homophobic, or misogynist views. But it’s a bit of a pickle. If we’re willing to accept a grey area in opinions or values in some instances and not in others, that’s a distinction which requires some justification. 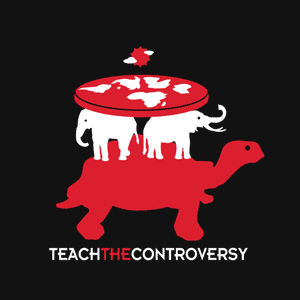 Some movements rely on creating these kinds of grey areas in order to accomplish their goals, the most prevalent of these being the “Teach the Controversy” campaign for the inclusion of intelligent design in schools (The wikipedia article is biased, but provides a decent synopsis). Evolution and creation are just two sets of ideas, says the Discovery Institute, and there’s a controversy, or a grey area, about which is true. Except there isn’t. There are ways of deciding which is true, which we do by evaluating the reasons we have to believe it. Some reasons are better than others. Evolution is supported by a range of physical evidence, ID is not. Et cetera. Just because something has two or more sides doesn’t mean that each ought to bear equal weight, but this is the kind of conclusion that comes from the “you’ve got your ideas, I’ve got mine” grey area. My second problem with the idea of embracing these kinds of grey areas is that it involves looking at a grey area as a stopping point. If it’s a grey area, then there’s nothing you can do, so it’s best to sort of shrug and live and let live. This is indicative, I think, of a kind of intellectual laziness. That’s not a phrase I should use lightly, so let me explain. 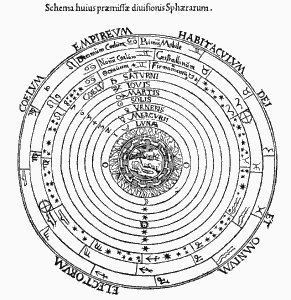 In the history of science, there have been grey areas. 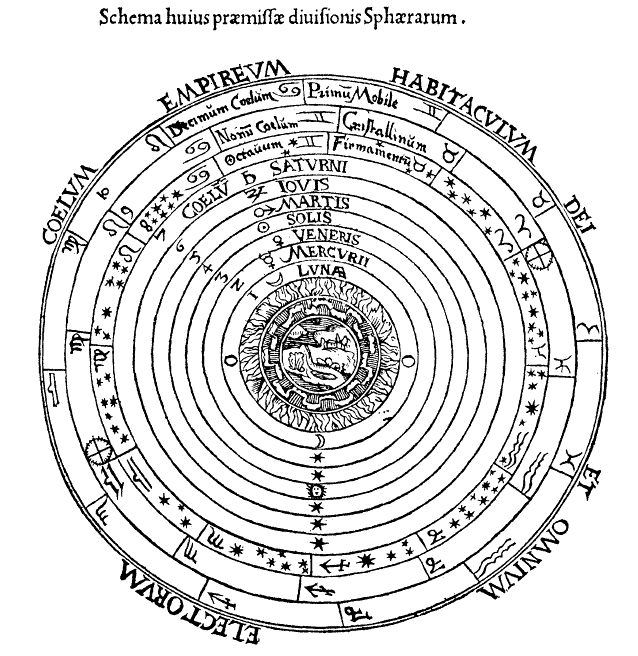 There was a period of time where, faced with Ptolemaic and Copernican star charts, you could be genuinely uncertain about the very nature of the solar system’s movements. These haven’t gone away. Now you can be genuinely uncertain about what’s going on in quantum interactions. There seems to be no way to tell. But the response to this isn’t to throw up our hands, it’s to dig deeper, locate finer distinctions, and devise ways of finding out. Genuine grey areas aren’t a stopping point, there where things get really interesting, because instead of having one claim that’s clearly true, you have a bunch with equal claims on the truth, which is to say that there are good reasons to hold them. If these grey areas that come from differences of opinion are genuine, then as people with a vested interest in true beliefs, we ought to dig deeper. Science is really good at this, which is why it’s taken a lot of grey areas down to the quantum level, past even the most remote ability to observe the actual interactions. Karen touched on this, and advocated curating our content in a way that lets us get both sides of an issue, in order to help us evaluate it critically. This seems at odds with the live and let live grey area, and I think it’s clear that she wants people to make an effort to recognize when there are multiple views, and dig deeper. Her talk, though not her Q & A, will be available on an Intersections WR podcast, so you can check it out and draw your own conclusions. I’m definitely going to touch on grey areas again, but it won’t be for a while, because I’m taking a break to focus on my thesis and get Headshots from the Heart under my belt. Concept Crucible will return on June 13th, but keep an eye on the Facebook page for any nifty philosophy articles that I find in the meantime. Thanks for reading!